MMI specializes in supplying manufactured to print assemblies and components to original equipment manufacturers. 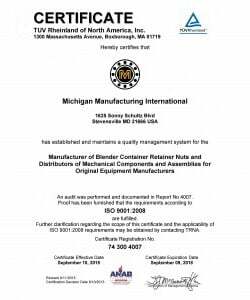 Michigan Manufacturing International (MMI) is pleased to announce that its manufacturing facility in Stevensville, Maryland, was recently awarded ISO 9001:2008 certification. This certification provides independent verification that the company’s quality processes can assure customer satisfaction. The ISO certification by TUV Rheinland is a statement that MMI operates within a globally accepted, set framework in order to achieve its customer satisfaction objectives as well as its production goals. Specifically, certification for ISO 9001:2008 qualifies MMI to supply parts to original equipment manufacturers (OEMs) that require ISO certification as a pre-requisite for doing business with them as a Tier 1 supplier. This is MMI’s second successful ISO certification achievement this year. Its facility in Hosur, India, was also awarded ISO 9001:2008 certification in April. Founded in 1991, Michigan Manufacturing International (MMI) specializes in supplying manufactured to print assemblies and components to OEMs. 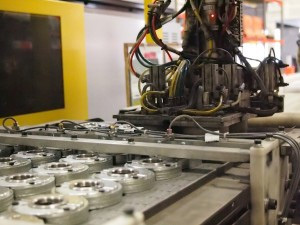 Products include assemblies, castings, stampings, machined parts, gears, bearings and more. Services include product engineering, manufacturing, inventory management and stocking programs—all designed to streamline client operations and increase profitability. MMI designs the most effective, highest quality solutions from anywhere in the world.